Now were getting somewhere! I’m a sucker for Man-Thing. Just love the character. More to come in a few…. It’s OK. It has an advantage over the X-Treme X-Men covers you’ve posted, in that it actually gives some indication of what’s inside. 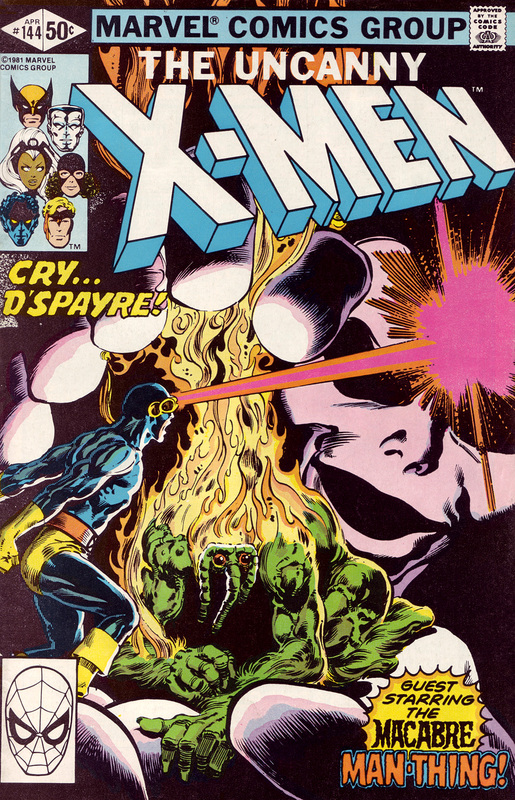 It’s Cyclops and Man-Thing fighting D’Spayre. My standards might be too high, because this still doesn’t really do much for me. But it’s a proper cover.